Passing the invocation decision for crisis and incident plans to a team may help to address the individual biases outlined in our previous blog post. However there are many issues relating to Crisis Team Dynamics that could still militate a wrong decision, from the culture of the organisation, the make up and structure of the team and the leadership shown by the chair. Much has been written about team and group dynamics so this post will concentrate on two areas that have the potential to influence invocation decisions. The first is a characteristic of Crisis Team Dynamics known as cognitive dissonance in which ‘”subjects prefer to have consistency between their attitude or mind set and their actual behaviour” . This can lead to a deep sense of unease or anxiety within those that find themselves in situations with the potential to require actions contrary to their shared beliefs. In such situations, exasperated by a limitation of available information, personal feelings of key team members, perhaps multiplied by a strongly shared culture employed as a mechanism to avoid cognitive dissonance, can overly influence decision making at the expense of fuller analysis. Secondly, relating to Crisis Team Dynamics, there is the group think phenomenon. This is “a dynamic in group behaviour that can be described as a shared set of values while the group works towards a shared goal”. It is this aspect of group decision making that can, in an attempt to reach an acceptable level of agreement, lead to highly dysfunctional behaviour. The most famous example of this is perhaps the decision to launch the ill-fated Challenger Space Shuttle in 1986 . Groupthink leads to individuals within the group, due to shared cultural influences, failing to think critically and taking decisions based more on morals than on objective evidence. As groups that have worked together for a long time are more prone to groupthink this is an issue for invocation. Unlike later ad hoc and mixed groups that might be formed, such as the Crisis Management Team, any team charged with an initial invocation decision is often a homogenous business unit, such as IT, HR, communications or facilities. 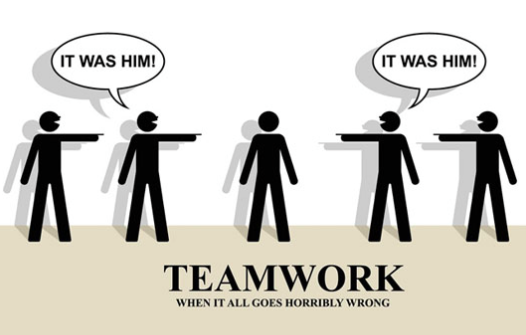 As such teams work together on a day-to-day basis they can be prone to this phenomenon.